The true story of a thirteen year old girl who was beaten, murdered, and possibly raped in a factor in 1913 brings suspenseful mystery to the small screen. The four hour long, Emmy Award winning mini-series "Murder of Mary Phagan" was created for audiences to view on television. Mary Phagan was a spirited young girl who was working in a pencil factory. She was to meet with her friends after work but instead was found in the cellar of the very same pencil factory. Although the man who discovered her body was one of the first suspected, soon the manager of the factory, Leo Frank, became the law's primary suspect. The jury becomes convinced that Frank is the killer after a second testimony by a black factory custodian implicates him. The custodian lies originally but then admits he has lied and recounts the events of being told by Frank to help him carry the limp and lifeless body of the girl to the basement. Frank is originally convicted and sentenced to hang but after several appeals his sentence is changed to life in prison. Once word of the hanging sentence being overturned the citizens of the small Georgia town take justice into their own hands. They decide to break into the prison barrack where Leo Frank is imprisoned and take him back to their town to be killed by lynching. Antisemitism prevailed over prejudice against blacks in this movie. The black custodian was trusted and believed even though he had previously lied. 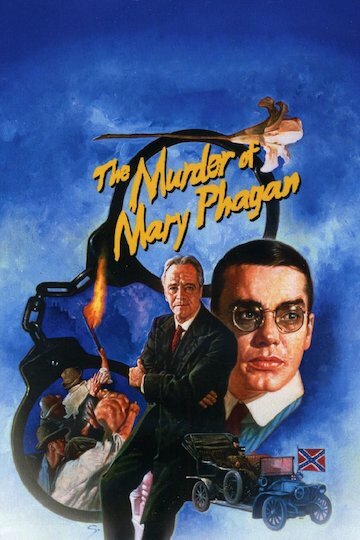 Credits include the work of Jack Lemmon as the governor, John Slaton, who commuted Frank's sentence and Peter Gallagher as Leo Frank, the man convicted and lynched for the murder of Mary Phagan. Charles Dutton also played a role as the actual murderer; Jim Conley. The screenplay was written by Larry McMurtry and directed by William "Billy" Hale. Murder Of Mary Phagan is currently available to watch and stream, download, buy on demand at Amazon Prime, EPIX, Amazon online.